The “baby boomer” phenomenon is primarily seen in countries which participated in WW2. Globally however, this effect is swamped by the increasing population and longevity in Asia and Africa. Babies born per year have increased from just under 100 million in 1950 to about 140 million now. 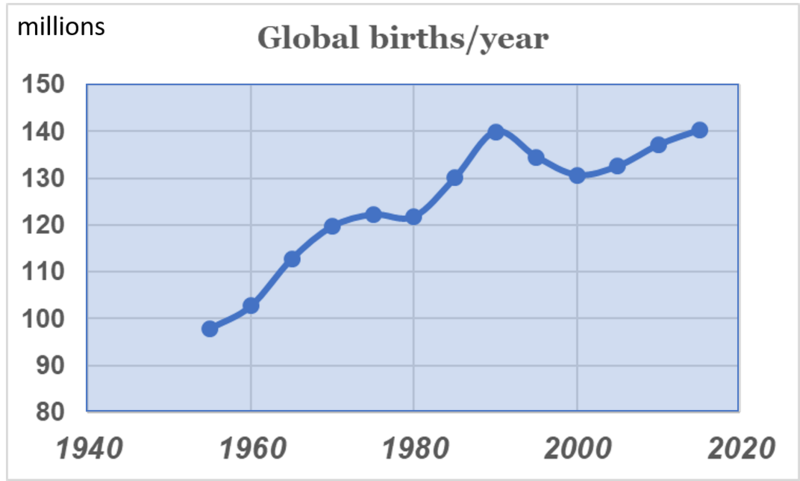 Birth rates are of course sinking fast but the number of births will only decline once the rate of population increase can no longer compensate. This will happen but not for another 20 – 30 years. 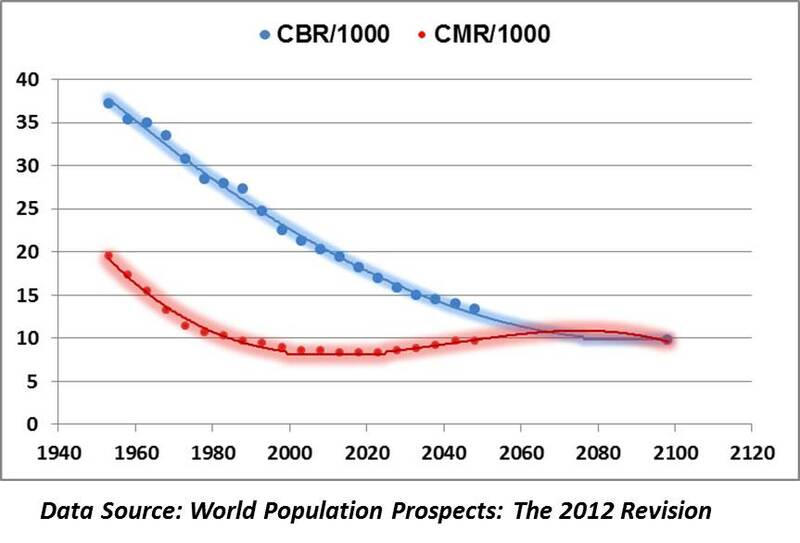 (source: UN World Population Prospect 2012 and 2017). 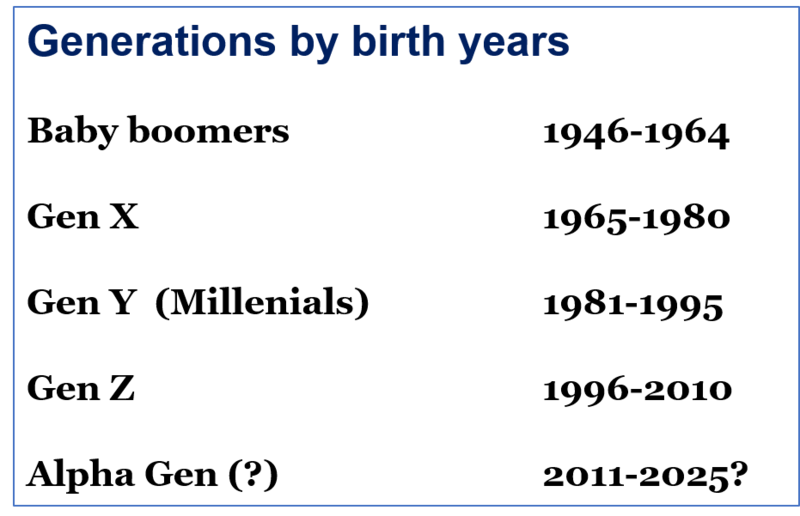 The Silent Generation applies to those born before 1945. After the Baby Boomers comes Generation X. The “millennials” are Generation Y. Generation Z has now passed and a new name has to be coined for the current generation being born. Alpha Generation seems to be the favourite. It should be remembered that the Silent Generation begat the Baby Boomers. In N America much of the whining comes from the Millennials. But it was Gen X and not the Baby Boomers who preceded the Millennials. This entry was posted on February 1, 2018 at 1:29 pm and is filed under Demographics. You can follow any responses to this entry through the RSS 2.0 feed. Both comments and pings are currently closed.